Keep your clothes, shoes, and bags like new with a Made in the USA, all-natural water repellent spray. Its non-toxic, biodegradable, water-based formula was inspired by the lotus flower’s leaf. When it rains on this water plant, the water beads up and rolls right off. The folks at DetraPel incorporated this plant into their formula and combined it with other botanical, eco-friendly ingredients to get the same hydrophobic result. The spray works on just about any porous material—from leather to carpet—protecting it from things like water, dirt, wine, and even glue. And once it’s applied, you won’t even notice it (because it dries clear). With just two coats, the material you’ve sprayed will have a water repellent, dirt-fighting layer of protection. It is a super-hydrophobic liquid repellent spray that uses nanotechnology to repel almost anything off of almost any surface. DetraPel is 100% EPA-compliant, biodegradable, water-based, and portable. How long does DetraPel last? One coating of DetraPel will last at least one year. However, once an item goes through 1-3 washes in the laundry machine, DetraPel begins to lose its superhydrophobicity. After 3-5 washes, your item will no longer be hydrophobic. What do I use DetraPel on? DetraPel can be used on nearly any surface. Examples of DetraPel’s applications are shoes, clothing, furniture, sports equipment, carpets, tablecloths, uniforms, bags, and purses. How do I apply Detrapel? For most surfaces, simply follow the instructions listed on the bottle. First, clean the surface of the item, then apply a first coat 6 inches away and wait 30 minutes. Next, apply a second coat and wait for 24 hours. 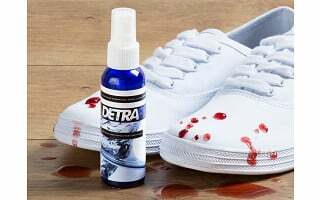 For expensive leather products and non-porous surfaces such as glass or metal, we suggest spraying and rubbing in DetraPel to ensure maximum protection. Yes. DetraPel is an EPA-Compliant water-based substance that is made of biodegradable and eco-friendly ingredients. 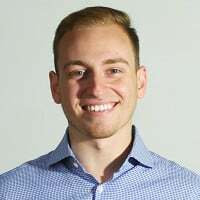 Stephen, one of DetraPel’s co-founders, has even sprayed DetraPel in his mouth multiple times (not recommended, but he was ok). Does Detrapel leave an odor on the material it is used on? No, once dried Detrapel is odorless and leaves the material smelling the same as it was before. What types of shoes can DetraPel be used on? It can be used on leather, suede, canvas, rubber, and most shoe materials. 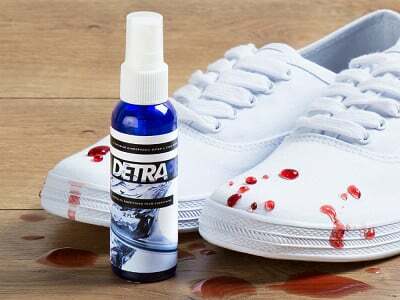 To be safe, always test DetraPel on a small section of your shoe before applying it to the rest. How much coverage does one bottle of DetraPel get? The 2 oz. bottle will cover a surface area of 6-8 square feet. That is most likely enough for 2 handbags, 1 shirt, 1 jacket, 1 office chair, or 2 pillows. Please note that since all items are not exactly the same size, this is just an estimate. You might need more or you might need less. Keep your clothes, shoes, and bags like new with a Made in the USA, all-natural water repellent spray. Its non-toxic, biodegradable, water-based formula was inspired by the lotus flower’s leaf. When it rains on this water plant, the water beads up and rolls right off. The folks at DetraPel incorporated this plant into their formula and combined it with other botanical, eco-friendly ingredients to get the same hydrophobic result. The spray works on just about any porous material—from leather to carpet—protecting it from things like water, dirt, wine, and even glue. And once it’s applied, you won’t even notice it (because it dries clear).